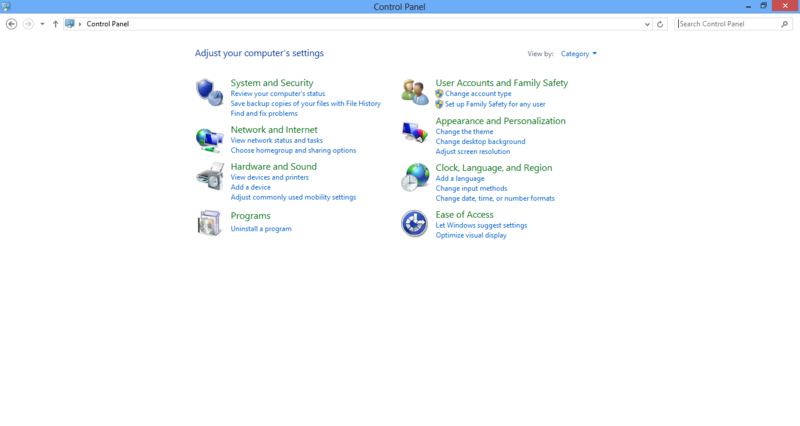 The Control Panel is where you change, update and take note of many settings in Windows. It’s essential for all users, from novice to expert, to get into the Control Panel easily. Whether it’s changing your screen resolution, changing what happens when you close your laptop lid, setting up a printer, a mouse or an external monitor — all of the above and more are found in the Control Panel. In past versions of Windows, you clicked Start, then Control Panel. Since there’s no longer a Start Menu, nor a Control Panel visible anywhere on the Start Screen or Desktop, the easiest way to get to it is to run a search. 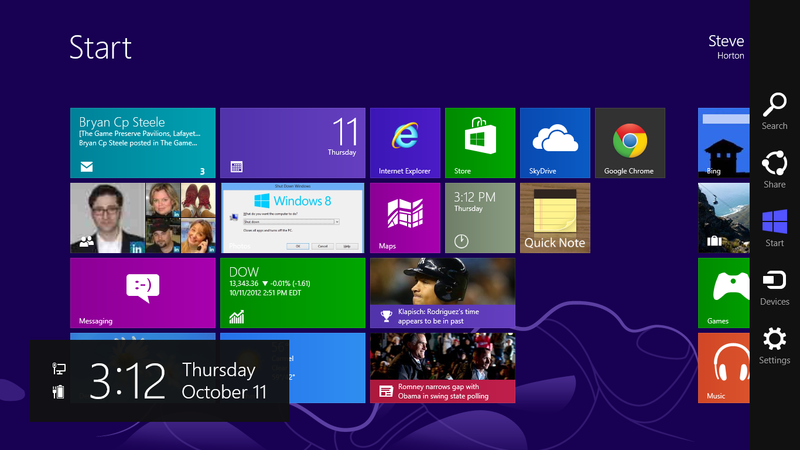 Unlike Windows 7 and earlier, Search in Windows 8 is instantaneous, making it far more useful for frequent use. Move the mouse from the corner upward. 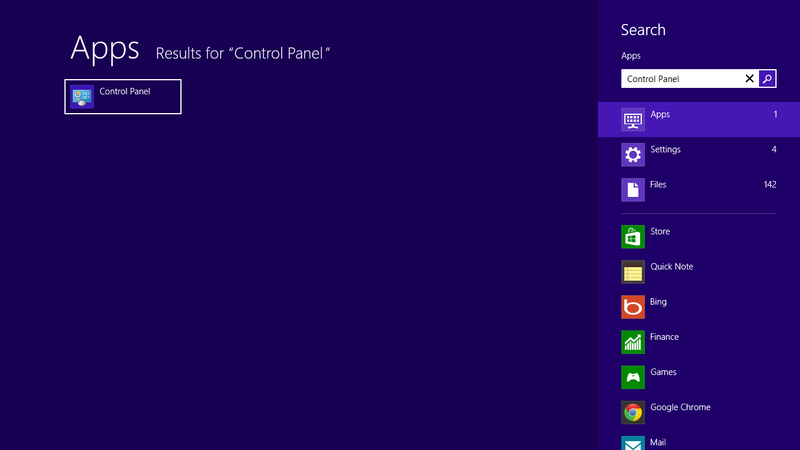 A search in Win 8 shows up immediately.You’ll be taken to the Control Panel window, which looks exactly like Control Panel in Windows 7 and Windows Vista. From here, you can change any setting you wish. This Control Panel may look familiar.Many of the functions you’re used to from Windows 7, like the Control Panel, can be found with a quick search, rather than attempting to navigate to them. This way is much faster.